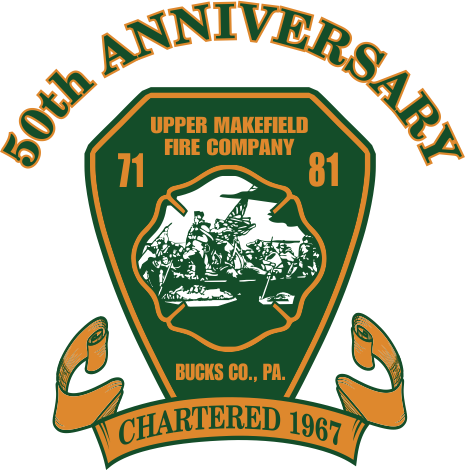 HERE COMES SANTA … On Sunday December 23rd 2018 … RAIN, SNOW, SLEET or SHINE … SANTA Will Be Touring A Majority Of Upper Makefield Township ..SANTA Will Begin His Tour At Approx 10:00am and Will Return To The Taylorsville Road Firehouse For Pictures Between 6:30pm & 7:30pm. UMFC Will Be Also Hosting A Food Drive and Collecting Non-Perishable Food for the Penndel Food Pantry. The Penndel Food Pantry Is In Desperate Need Of Canned and Boxed Food Items Which Should Be In Date and Undamaged, Please No Glass Containers. Donations Are Being Accepted At The Taylorsville Road Firehouse Between 10am and 4pm Or During The SANTA Photo Time From 6:30pm to 8pm. Everyone who stops at the firehouse and donates Towards The Food Drive Will Receive A Raffle Ticket For A Chance To Win A $100 Gift Card . The Drawing For The Gift Card Will Be Immediately Following The Picture Time. UMFC Firefighters will also be collecting during the parade route. If you are going to donate to the food drive while we are on the parade route Please flag the trucks down and give the food to the truck following SANTA.